The first "Stir The Pot" also included a discussion of Mikki Halpin’s “Practical Activism: If You Want To Do Something, Don’t Do Everything.” The essay is in Julia Turshen’s Feed The Resistance. Thomas Breen Photo. A lifelong New Havener who is using her cooking skills to combat paranoid schizophrenia. A victim of congestive heart failure who couldn’t wait to get back on her feet, because it meant putting fresh vegetables to use. A health educator who is hoping to pass on healthy eating to a new generation of home cooks. Tuesday night, these alumni of Master Cooks Corps gathered at “Stir The Pot,” a new-old monthly potluck and food justice working group at CitySeed’s Grand Avenue kitchen. They were there to tell their stories of how their engagement with food justice had led them to be more active community advocates. Nelson's daughter Soleil ensures the next generation of master chefs. Lucy Gellman Photo. Close to 25 people turned up for the event, which replaces the now-defunct monthly potlucks that the New Haven Food Policy Council held until last summer. The next session is set for Feb. 21 at CitySeed. The idea for “Stir The Pot” was born last December, when food justice advocate and Global Local Gourmet Founder Nadine Nelson attended a conference at the Stone Barns Center For Food And Agriculture in New York. Amidst discussions on accountability in cooking, farming and food justice, she’d asked New York Times writer Mark Bittman how he addressed racial and economic inequalities as an older white guy in cooking. As a trained chef and a teacher herself, she said she’d been influenced by Bittman’s advice on how to feed six billion people (teach them to make rice and lentils, a chopped salad, and stir fry, because those are staple dishes that transcend most cultural barriers). She’s incorporated similar advice on sessions at the New Haven Free Public Library on cooking at under four dollars a day. But he’d sidestepped the question, Nelson recalled. And through that experience (“He dissed me in front of 400 people!”) she said she’d thought about her own role in New Haven—how she could “hold myself accountable” and make change in the city. In a landscape of growing food insecurity and shrinking aid for hungry families, “Stir The Pot” was one of the first that jumped to mind. Food justice advocate and FES student Cara Donovan (in the pink) and others line up for dinner. Lucy Gellman Photo. With its potluck format, the overhead would be relatively low, Nelson said. 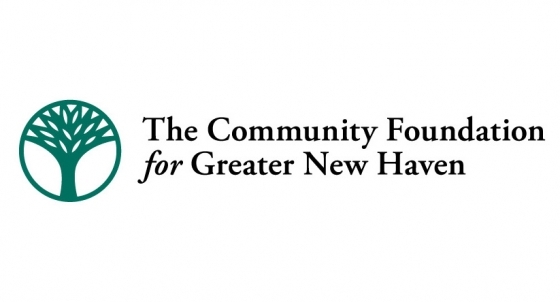 The New Haven Food Policy Council backed the event as a new iteration of its old tradition. All she would have to do was get people to show up. Which they did. As she bounced between a creamy alfredo sauce and cauliflower-parsnip vegan substitute, she said it felt fitting to kick off the model with Serena Spruill, Ella Manning and Elaine Peters—all alumni of the Cook Corps Program that she started several years ago. While the program officially ended in 2014, Nelson said it has taught over 40 cooks in the community, and reflects the same kind of grassroots activism that “Stir The Pot” is ultimately going for. Spruill: "I finally have a foundation." Lucy Gellman Photo. As attendees assembled plates of collard greens, white rice and pepper-flecked black beans, deep orange curry, chef Serena Spruill took center stage, speaking from the head of CitySeed’s long dining table. Spruill’s culinary journey began not at CitySeed, but in New Haven on New Year’s Eve, 1980. She had just made the decision to become vegetarian, after walking past a then-new Edge Of The Woods and ducking inside. She couldn’t afford many of the goods on the shelf—but was inspired by what she saw. Verdant rows of produce and bright fruits, bulk grains, and homemade products that contained no preservatives. It was a moment, she said, in which she became interested in cooking healthy, fresh foods for her family. As she grew into motherhood—she has raised five children—she also grew into community gardening, one of the founding members of New Haven's first community garden, called the Inner-City Co-Op Farm, on Legion Avenue. Cultivating fresh food changed her outlook radically: she would gather seaweed from Lighthouse Point Park and manure from the Yale Stables. With fellow garden member Sylvia Dorsey, she pushed the city to form a farmer’s market in front of the old Q House. Kendra Dawsey and Juniper (in the plaid) discuss "how you can follow and how you can lead" during a reading-based part of the evening. Lucy Gellman Photo. By then it was the 1990s, and Spruill had caught the cooking bug, but “never knew where to get trained.” Her kids came with her to work in the community garden (which grew into several satellite gardens), and members shared their food with food banks and the farmer’s markets. She embraced vegetarian cooking, but had a limited repertoire, returning to a few select recipes. That whole time, she said, she knew she wanted to branch out into the culinary arts. The problem was finding a way. Culinary school is often expensive, and she was a mom trying to make sure the family had enough to eat. In the mid-1990s, she struggled with her own mental health, ultimately finding herself at the Connecticut Mental Health Center (CMHC) after several breakdowns. As she recovered, she found her way back to food, working in CMHC’s cafeteria and then enrolling—and teaching—in Master Cook Corps. It opened the door to other opportunities, she told the group at CitySeed as they ate. From the Corps, she went on to the Natural Gourmet Institute in New York, where her lessons focused in on plant-based cooking. For the 11-month program, she found herself heading to Manhattan twice a week on the Metro-North, waking up at 4 a.m. to catch an early train, and then turning around at the end of the day to return to New Haven. Then she completed a 100-hour internship, taking public transportation to follow chefs from New Haven to different parts of the state. When the bus line didn’t run that far, she found herself spending money on taxis, or getting rides from friends. It’s one that she uses every day now, as a peer-support specialist at the CMHC, where she now teaches cooking lessons to people with mental illness. Ella Manning, at the center, during a circle-up portion at the end of the night. Spruill’s story was a springboard for Manning and Peters to tell their own tales of how working with fresh, healthy foods had made them more engaged with the community. For Ella Manning, the call to use cooking as a form of activism has long been constant, but intensified after she joined and graduated from Master Cook Corps. A health educator at the Davis Street School and Cornell Scott Hill Health Center, Manning spent the first part of the evening preparing vegetables for the pasta, cutting onions into a fine dice and making sure that carrots and cauliflower were ready to go. To new friends who offered their hands and introductions, she politely shook her head and smiled. “I’m cooking,” she said. She was half-cooking, half performing her duties as the group’s culinary godmother. She watched as Nelson’s daughter, Soleil, carefully caramelized onions. She made sure nothing was burning on the stove, as Nelson and food justice advocate Austin Bryniarski made a creamy vegan sauce, flavored with nutritional yeast instead of cheese. Leaning just-so on the wall, she watched as attendees lined up and carefully navigated their options, most filling their plates. Only when everyone had been seated did she come to the table with her dish, and her story. It’s an approach she also brings to her work, healing communities with healthy food. Manning works in the Wellness, Education and Outreach (WEO) department at the Hill Health Center, trying to reach clients who have diabetes, heart disease, and high blood pressure. Her specialty is the course “From Healthy to Delicious,” a diabetes education program. She teaches with a curriculum Nelson designed, that shows that healthy eating is possible for people of all backgrounds and income levels. Through CitySeed, she also teaches cooking classes to the community, including in the libraries, schools, senior centers and at farmer’s markets. “That’s a lot!” said Nelson. Elaine Peters wears several different turbans. But she didn’t always know that they would intersect around access to food, until a health scare turned into a wake up call. A multimedia performance and craft artist, Peters helps run New Haven’s Community Kwanzaa Association and Mothers for Justice. While she didn’t consider herself a cook for years, “I learned because everybody in my family, from the Barbados, had to cook.” From them, she learned secrets to having a garden, and sourcing fresh fruits and vegetables whenever it was possible. Part of that advocacy, she said, has been teaching people about food deserts, SNAP benefits, and extra resources like food banks. In the past years, she has tried to assemble small community gardens for families and seniors, but found that some community members “met it with such resistance” that it remained in the planning stages. But part of Peters’ advocacy is deeply personal, she said. In December, she was admitted to the hospital with congestive heart failure, where the blood no longer pumps the right way. It is, she said, “a mild case”—but she still needed help when she returned home from the hospital. And suddenly, she was a model of everything she’d been teaching others to prevent. She said she realized that she would have to eat packaged foods until she was able to stand and cook again. It made her physically sick, she recalled—“it wasn’t going through my system well.” When she requested a social worker, she was told she didn’t qualify for services, because she is younger than 65. The first "Stir The Pot" also included a discussion of Mikki Halpin’s “Practical Activism: If You Want To Do Something, Don’t Do Everything.” You can find the essay in Julia Turshen’s Feed The Resistance, published last year to benefit the American Civil Liberties Union (ACLU). The next "Stir The Pot" will take place at CitySeed on Feb. 21.